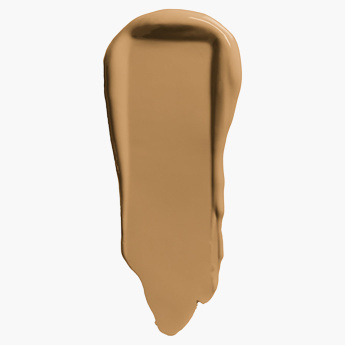 Play hide-and-sculpt with this new contour concealer which is a lightweight liquid and major complexion must-have. The blendable, matte formula is apt to camouflage imperfections, brighten up your face and contour those features to perfection. 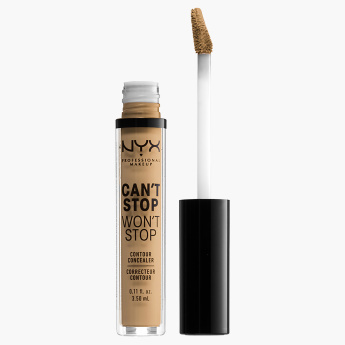 This creamy multi-tasker also delivers full coverage with a finish that lasts for up to 24 hours. 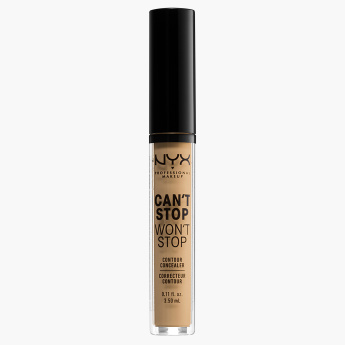 Pair the long-wearing concealer with its complementary Can’t Stop Won’t Stop Full Coverage Foundation and Powder shades to put your best face forward.